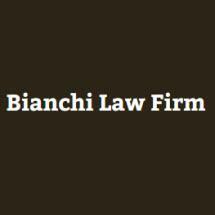 Founded in 1960 by Alfred J. Bianchi, The Bianchi Law Firm first began to emphasize DUI defense. After leaving the King County Prosecutor's Office in 1985, George L. Bianchi joined The Bianchi Law Firm where he has become recognized as an innovator in the defense of DUI and other alcohol and drug related crimes. George has lectured at numerous CLE programs concerning DUI defense and has been lead counsel in a number of cases resolving significant criminal law issues. Member of the Washington State Trial Lawyers Association; Washington Association of Criminal Defense Lawyers; National Association of Criminal Defense Lawyers; American Trial Lawyers' Association; currently vice-president of Washington Foundation for Criminal Justice; founding member, graduate, and guest lecturer of the National College for DUI Defense. He was elected to the position of Regent with the National College for DUI Defense in July of 2000; and named a "Super Lawyer" by Washington Law & Politics in 2000, 2001, 2003, 2004 and 2005. In 2003, he was presented with the prestigious Dean's Service Award from the National College for DUI Defense. In addition to criminal defense, The Bianchi Law Firm also emphasizes personal injury litigation and appellate practice.